New series of NLP Webinars to complement our NLP PDFs and international 1:1 NLP training. Starting September 2017 – Register Now! Due to the popularity of our free NLP PDFs and videos, we are introducing a complementary series of NLP and Coaching Webinars, supported by a special forum where you can note your thoughts and discuss them with others in our Entrepreneur Mastermind Coaching Portal. Register now to be sure of a place on the first NLP Webinar this September. It will include a special guest speaker and will cover the content of our NLP Training Guide 1. What’s Special and Different About What We’re Offering? Like learning a martial art, learning to meditate, or to play a musical instrument, we learn more by doing rather reading about how to do something. This NLP Webinar will explain how people learn most about NLP by treating their learning as an adventure. There will be ample chance to ask questions. Who can attend our NLP and Coaching Webinars? Anyone with an interest in NLP is welcome. 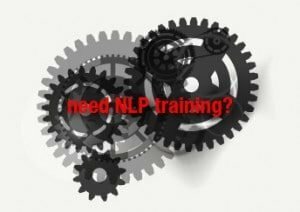 Whether you are just curious, or a master with years of experience, everyone will benefit from sharing and discussing how NLP and Coaching works for them. This a chance to talk to and learn from other NLP and Coaching practitioners from anywhere in the world. You will meet new colleagues, learn new tips and approaches to your NLP practice, and share the experiences that have worked (or not worked!) for you. Register now to be sure of a place in September.